Once again, Glen Callum are working exclusively with Moss Europe, one of the founding companies of the British Classic car parts industry. Glen Callum have worked with Moss for well over 10 years, recruiting staff for their sales, marketing and operations teams. This time we are working closely with their purchasing team to find a Buyer who is as passionate about cars as the rest of the staff at Moss. 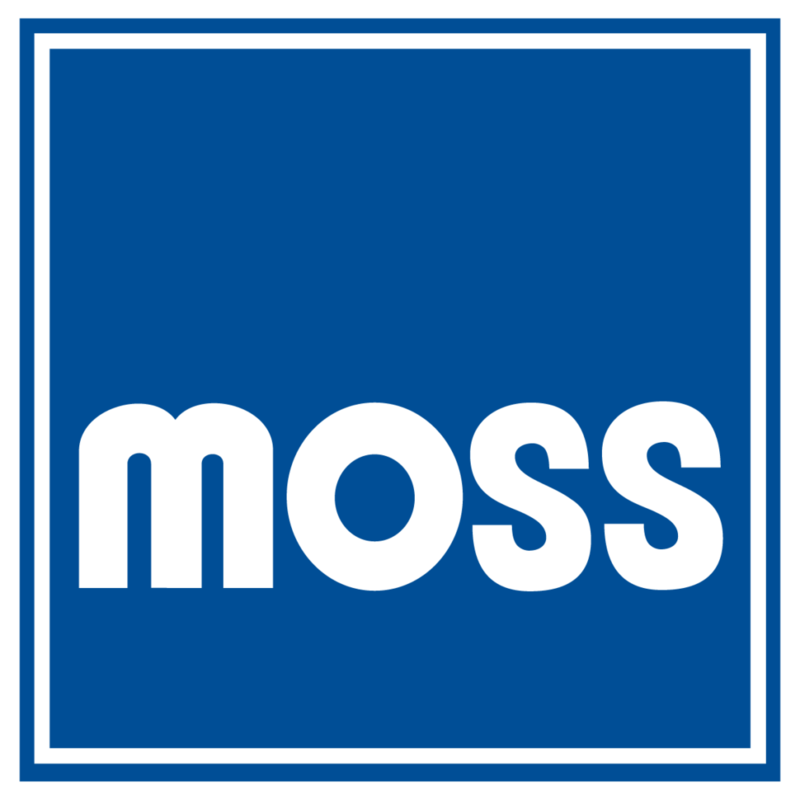 Based just a short distance from Twickenham, London, Moss have been in business since 1948 when they started supplying race car spares and accessories. Now 70 years later and bigger than ever, their mission is to keep the great marques alive and well by supplying parts and accessories of the highest standard. Interested in a role within Moss? Then you have to live and breathe the world of cars; old, new, in any shape or condition. Many of the staff at Moss have their own project cars (both classic and modern marques). When you drive to Moss HQ in the summer months it is quite normal to see their cars lined up out front almost like a car show. It is this passion for cars that keeps Moss the first choice for classic car enthusiasts here in the UK and abroad. For the Buyer role you will also need experience of purchasing, with an ability to build credible relationships with key personnel and suppliers across the world. To find out even more about the role and to apply click the advert! 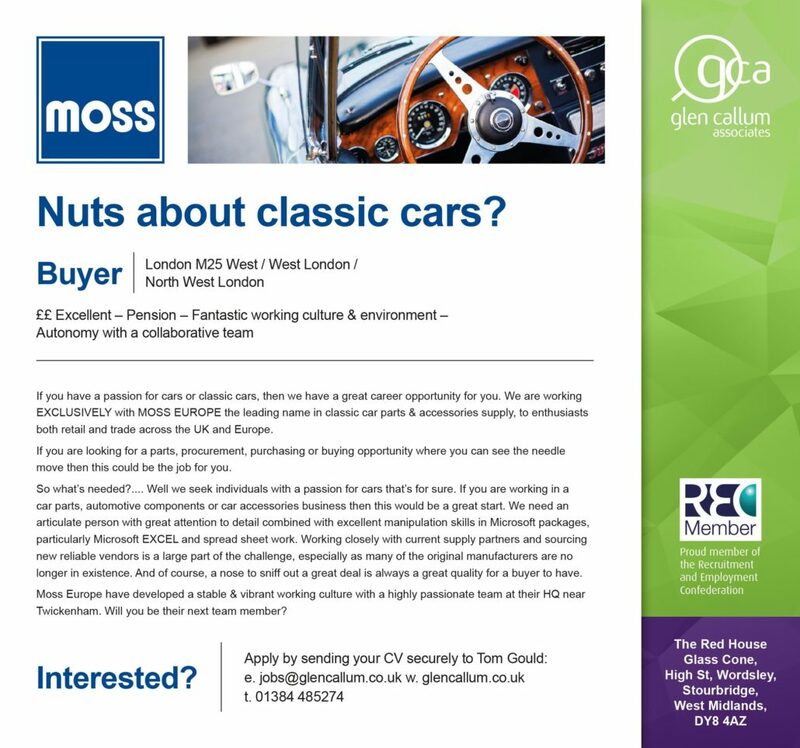 If the buyer role isn’t for you but you are passionate about working with classic cars then get in touch anyhow, we may be able to help you secure your next role! 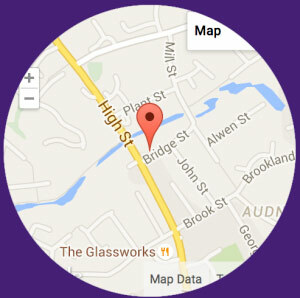 Sales Manager needed to lead the UK & Ireland for a World Leader in the... What’s the score? Football World Cup guidance for employers…….